The U.S. House of Representatives recently passed legislation that would impose energy efficiency standards on federal government data centers. The Energy Efficient Government Technology Act (HR 306), will move to the Senate for review and a possible vote. But if passed in its current form, the legislation would require that federal agencies coordinate their procurement, implementation and maintenance of IT systems or services that will improve energy efficiency in data centers. Current provisions of the pending legislation require the Office of Management and Budget (OMB) to track the progress of federal agencies' energy-efficiency initiatives. The Department of Energy will ultimately be responsible for developing a metric to gauge efficiency, and will also be required to implement "an open data initiative" to share best practices among agencies. For the time being at least, this doesn't have direct consequences for federal data centers, but it will soon enough if passed. Furthermore, it shines a light on what has been an ongoing issue among the feds during the Obama administration's tenure: reining in the IT budget. Power monitoring is one of the most integral disciplines associated with overall power management. 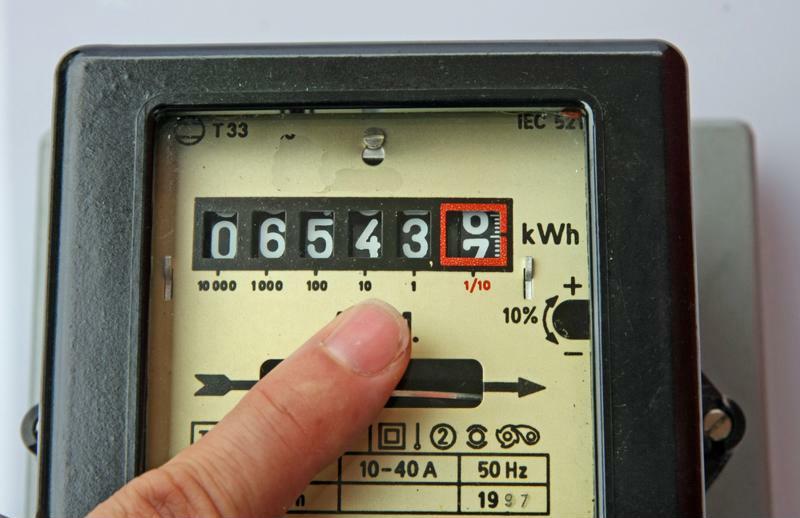 For many data centers in the private sector, utility-grade accuracy of power consumption tracking is a best practice for enhancing billing precision. "You can't effectively manage what you can't monitor," Kleyman wrote. "The only way to run a properly optimized data center is to have a solid monitoring platform designed for your environment." Zombie servers: There are as many as 10 million servers sitting idle and wasting electricity, according to the Natural Resource Defense Council. Inefficient equipment: Real-time power analytics make it much easier to audit power consumption and identify systems that may be consuming too much energy. Total consumption: If the OMB does in fact start tracking energy usage in data centers, an accurate overview of total power consumption will be crucial. There are better ways to track power consumption. "Remotely monitored PDUs provide a more accurate view of power load." One of the most effective ways to track power consumption – from supply feed to individual outlets – is through the deployment of monitored power distribution units (PDUs). The primary purpose of PDUs may be to distribute power among the vast swaths of equipment in a data center, but a significant ancillary benefit of this function is the ability to easily monitor the flow of electricity at a granular level. So, for instance, if power inefficiencies exist within a single rack, this would be the most precise way to discover it. There are two primary methodologies for monitored PDUs, which are local and remote. The former can be helpful as an on-site, at-a-glance metric for power load. But remote capabilities ultimately provide more information, since they're integrated with the network, and can be tracked in real time through a remote dashboard. In addition to making it possible to set parameters on power consumption levels, remotely monitored PDUs provide a more accurate view of load throughout the entire facility. The result is the opportunity to identify areas where cost-saving measures can be implemented more effectively. Should the Energy Efficient Government Technology Act pass in the Senate, this capability will be a godsend for government agencies.